In the past years, civic crowdfunding has become an increasingly used tool by communities to help finance their urban infrastructure projects. 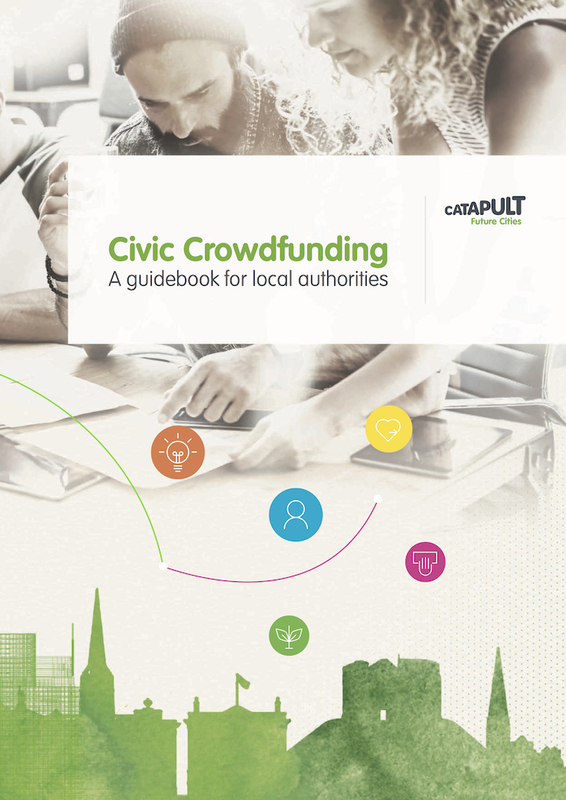 However, while some legal contexts encourage experiments around community finance, other national regulations categorically exclude the possibility of peer-to-peer lending or crowdinvesting, thus limiting the impact crowdfunding can have in the built environment. Jan Mazur looks at the legal frameworks that regulate crowdfunding and crowdinvesting, asking how platforms can operate beyond national borders and create opportunities for various parts of Europe. Crowdfunding has emerged as a relatively innovative, Internet-enabled way of financing projects, startups and small and medium enterprises (SMEs), especially in their early-stages. In the EU, where most of the financing for companies comes primarily from banks and not capital markets, it has been burdensome and limiting to seek bank financing for startups and SMEs. Most startups and many SMEs lack relevant operating history and track record, cash flow or collateral to secure bank loans. Angel investors and venture capital funds are an option, but they usually cover specific segments of the startup and SME market. Nevertheless, any finance provider may strongly benefit from the risk reduction based on crowd validation, as the product or service information becomes distributed to large amounts of people who may “crowd validate” them by backing their crowdfunding campaigns. Contrary to their inability to raise required capital, the economic significance and impact of SMEs is greater than their size; they are one of the main vehicles for the creation and dissemination of innovation, and their potential to exploit synergies is usually very strong. Crowdfunding, defined as “a collective effort of many individuals who network and pool their resources to support efforts initiated by other people or organisations”, belongs to the domain of finance-providing activities. Its specific mutations can be unregulated, regulated, or exempted from the regulation, depending on multiple criteria and elements of these activities. Crowdfunding is typically performed on online crowdfunding platforms, which offers intermediate support for projects or companies by individuals (crowd) who wish to support them. 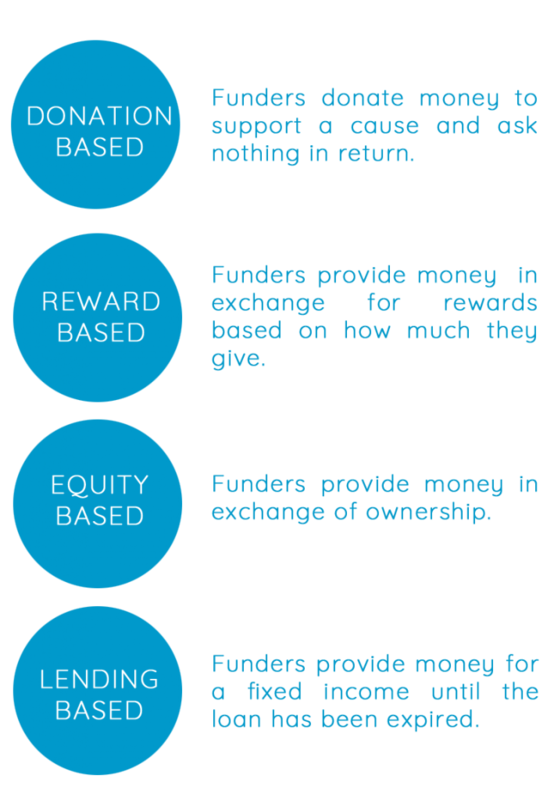 On a more general level, we typically recognise (i) donation-based, (ii) reward-based, and (iii) investment-based (including equity-based and lending-based) crowdfunding platforms, whereas the level of regulatory attention naturally increases with the increase of risks and the amount of money provided individually and sought cumulatively. However, the regulation tailor-made for crowdfunding does not exist on the EU level, though some EU legislation may apply to financial relations within equity-based and lending-based crowdfunding. National legislations of certain countries specifically regulating crowdfunding do exist, yet the industry significantly lacks the authority that would provide EU-wide standards and fortify the public trust towards the platforms, which would allow especially investment-based crowdfunding to go mainstream. When it comes to donation-based crowdfunding, from the legal point of view, we typically understand the relations between projects/companies seeking finance and their backers who provide finance for certain non-monetary rewards as a donor contract without any material reward (other than “a good feeling”). Donor-based crowdfunding platforms nowadays enable fundraising for non-profit and charity contributions and projects, but also for education and scientific research. Reward-based crowdfunding is more complex, though the applicable regulation is also quite unrestrictive. Under the reward-based crowdfunding scheme, financial contribution is exchanged for current or future (conditional) goods or services on a platform, which supports and enables the exchange. The business model of these platforms is based on charging a fee in the amount of a few percentage points of the crowdfunded amount. Reward-based crowdfunding normally does not fall within specific financial regulations as the relationships established by the crowdfunding system are usually considered to be basic civil and business-to-consumer relationships. The regulatory requirements are typically low for these platforms and no special approvals are required, except for the regular trade/business licensing. There are two main models of investment-based crowdfunding: (i) equity-based, and (ii) lending-based crowdfunding, whereas there are also hybrid forms of crowdfunding models based on revenue sharing, profit-sharing or subordinated loans, just as there are hybrid forms of finance. To generalise the regulatory patterns of these crowdfunding models is not an easy task, as the models vary significantly from country to country where national legislations apply. Moreover, these models are also strongly dependent on the corporate structure and the underlying security or instrument that is being traded or issued against the financial investment. However, certain broad generalisations may be drawn; equity-based crowdfunding may fall within the scope of several EU directives. Each of the investment-based models involve monetary motivation, be it an interest, share of profit/revenue, or exit value, but can also involve other motivations, especially in more locally-oriented and social entrepreneurship-oriented crowdfunding platforms. In equity-based crowdfunding, investors invest money into projects or companies in return for a part of their existing or newly issued equity, which may take different forms, such as stocks (securities), or shares, depending on the corporate form of the target company. It is also permissible to issue various classes of stocks, so the stocks may not always possess typical shareholder’s rights, such as voting rights, but only a share on profits. Crowdfunding companies are typically startups and small and medium sized companies, which tend to choose private capital company forms or even partnerships. Private limited companies are usually cheaper to run, offer flexibility and shield shareholders with limited liability, which makes them a top choice for starting companies. However, these company forms may not be permitted to raise funds from a large amount of investors and are in general not suited to do so. Transferability of shares may also be limiting and limited in the case of private companies, so it disincentives potential investors. Investment-based crowdfunding campaigns are regulated by national regulations and the Prospectus Directive that requires that Member States shall not allow any offer of securities to be made to the public without prior publication of the prospectus. The obligation for companies to publish a prospectus is related to offers of securities with the total amount of investments of at least 5 million EUR (over a period of 12 months), with specific exemptions depending on the number and qualifications of investors and the size of securities. Crowdfunding campaigns are typically not aimed at qualified investors only. On the contrary, crowdfunding targets large amounts of mostly unqualified investors for individually smaller considerations, often in thousands of euros per investor, yet the typical campaigns run from hundreds of thousands to several millions of euros in total. Empirical evidence suggests that most of these exceptions would not exempt the company from publishing a prospectus based on the Prospectus Directive. Yet, some Member States choose a specific form of regulation of this obligation, as the publishing of a full prospectus may be quite burdensome for startups and small (medium) enterprises: in France small-scale transactions only require a light-prospectus, in Germany, all authorised crowdfunding offerings with a maximum of 10.000 EUR individual investor contribution and a maximum 1 million EUR total investment are exempt from prospectus publishing. On the other hand, in Slovakia the same regime applies for offers between 100.000 EUR to 5 million EUR as for the large offers of 5 million EUR and above. It is advisable to create a specific, crowdfunding- and SMEs-friendly legal regime for middle-range offers, if not directly harmonised on the EU level, than at least on the national level. 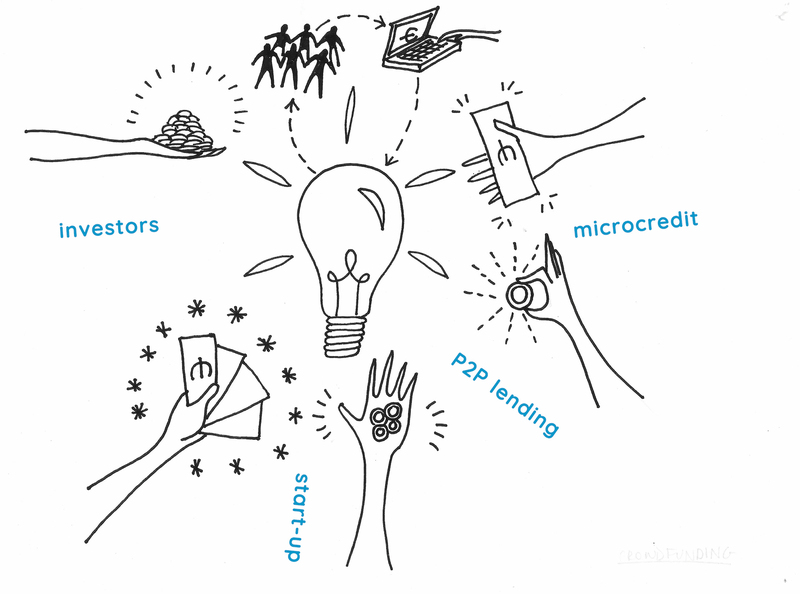 Some of the services of crowdfunding platforms (the sale and purchase of the financial instruments on behalf of investors) could be regulated by the Markets in financial instruments directive (MiFID), which harmonises the provision of investment services to professional and non-professional clients by investment firms. In the meanwhile, some of the instruments issued by the crowdfunding companies (such as shares in privately held companies) may not be considered financial instruments under MiFID, i.e. transferable securities, and thereby should not be affected by the directive. From the perspective of the platform, it may be beneficial to be a regulated investment services provider, as the MiFID-authorised platform can benefit from the EU passport rule, which allows them to offer services in other Member States. However, this may be very much dependent on the various national company law regimes, which classify the shares of these companies as transferable securities or not. Once authorised, the platform may not be able to conduct any other business than the authorised and regulated. This may lead to unserviced segments of the market with companies issuing different classes of shares, which is hardly desirable. Moreover, being a MiFID-authorised platform poses a relatively large regulatory burden with subsequent costs, which may be impossible to bear by platforms with campaign traffic below a certain threshold. Lending-based crowdfunding tends to have a looser regulation than the equity-based one, even though it is more relevant in terms of the market size. In certain jurisdictions, authorisation to provide the platform services may be required. The regulation involves information obligations to investors, clear risk representation, but also minimum capital requirements of platforms and resolution plans. Lending-based crowdfunding represents basically two major groups of unsecured loans: (i) peer-to-peer, where consumers offer each other consumer loans, and (ii) peer-to-business, where businesses borrow from multiple lenders. Interestingly, new forms of secured loans start to develop, such as real estate mortgages and developments. Investment-based crowdfunding may be a good form of finance for social enterprises and cooperatives, as, in the absence of social banking, regular banking may pose barriers too high in accessing finance. However, banks may perceive crowdfunded companies positively, as they increase their equity, as is also evidenced by the Bulb In Town case. From a business perspective, local crowdfunding campaigns may also draw substantial benefits from the fact that shareholders are potentially significant stakeholders (and vice versa) and consumers of goods and services of the crowdfunded project; the interests of shareholders and stakeholders are aligned. In conclusion, any regulation must take into consideration elementary risks that investors or lenders face. They need to have access to clear and accurate information on the borrowers or invested companies. Regulators advise crowdfunding platforms to maintain strong engagement of investors and allow them to exchange opinions and discuss the projects openly on the platform. The investors must be well-informed on the project or company they consider investing in and the risks they face: risk of capital loss, risk of dilution, limited possibilities of liquidating an investment and limited information and track record to base the decision on. The platforms may be prone to conflicts of interest due to their business model, which is based mostly on charging fees for successful campaigns. Investors may also over-estimate the due diligence carried out by the platform. It is in the long-term interest of the platforms to make sure and review whether their investors understand the risks of the crowdfunding investments and restrain their investments into a well-built portfolio. Even though the crowdfunding is a very promising source of alternative finance, the regulation currently available is clearly not suited for it yet. Crowdfunding regulation, currently at the EU and many Member States level as a by-product of existing legislation, should acknowledge that crowdfunding is not defined by a specific form of company shares (securities), but rather by its specific nature. The overall amount of crowdfunding campaigns usually does not exceed a few million euros. Investors are usually dozens of individual and mostly non-professional investors investing thousands or tens of thousands of euros. As crowdfunding in general does not pose a systemic risk, it poses a consumer finance risk, especially the risks of frauds, deceptive campaigns, or embezzlement of finance from the company etc. These risks must be addressed in order to set a level playing field for the platforms and set professional standards. Thorough due diligence of campaigning companies serves the investors, companies, platforms and the market and society equally, as it safeguards against frauds and unsound business plans. It is advisable that countries adopt rules for crowdfunding platforms in order to better manage the expectations of all the parties. Some proposals could include a lighter regime of prospectus obligations for companies publicly offering stocks worth 100.000 to 5 million euros, specifically if individual investments do not exceed larger amounts; requirements on transparency of the platforms regarding individual campaigns (including investors’ discussions on these campaigns), platform rules, legal terms and conditions of individual campaigns, conflicts of interest; requirements on information obligations of the platforms regarding the risks of the investments in general and advisory to mitigate them (including obligation to limit individual investments into a single company and investor’s portfolio rules), risks of individual campaigns, minimal due diligence requirements for platforms; specific EU-wide rules to allow platforms offer shares of companies to non-professional investors for limited investments regardless of the legal form of companies; guidance on solving conflicts of interest of platforms. 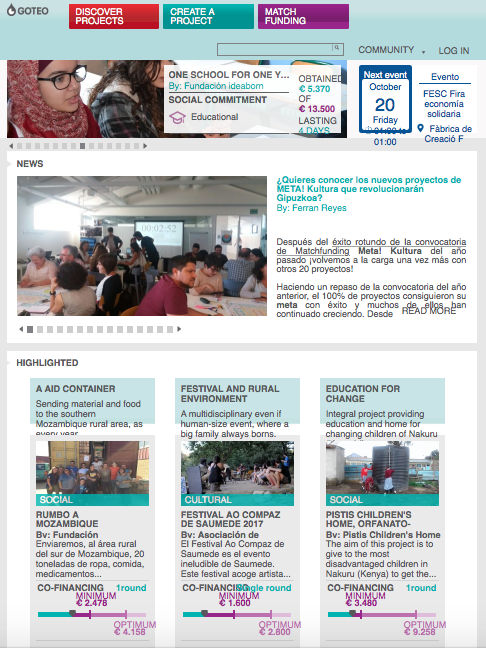 Economy , article, crowdfunding, economy, English, ethical bank, finance, Funding the Cooperative City.